Spicyroad’s Week in Review #2! On the morning of day number 8, we woke up from where we had camped that night about 100km outside of Kiev. After packing up all of our camping equipment, we stood out on the road and were able to get a ride relatively quickly into Kiev’s city center. – Ate yummy traditional Ukrainian foods and snacks to our hearts content! We enjoyed our time in Ukraine so much, that in the end….we decided to extend it! So, after a few days in Kiev, we again packed our bags and set our sights on hitching a ride to sunny Odessa. 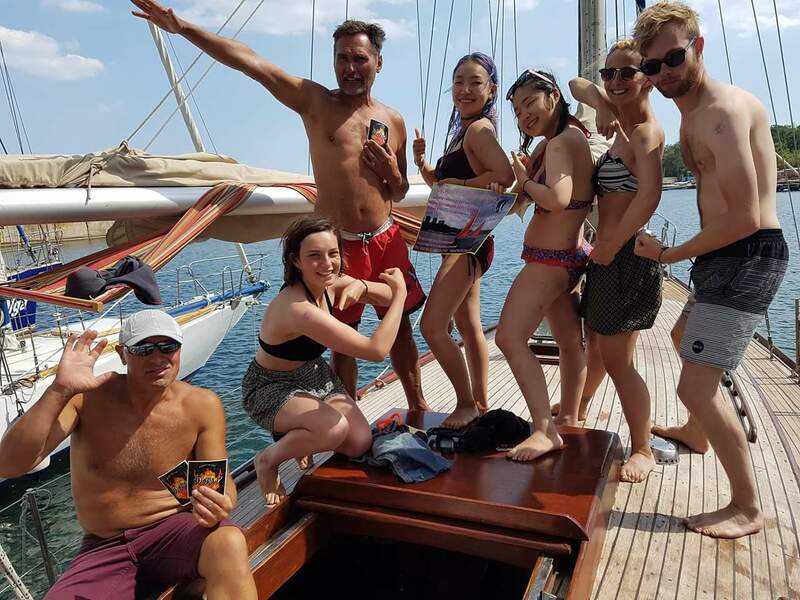 Our journey proved slightly more difficult than we had originally anticipated, but the sight of the sparkling, crystal blue waters of the Black Sea upon our eventual arrival lifted our spirits! Swimming, sun bathing, rock climbing, riding packed trams through the city, being spun upside down on a crazy amusement ride and an amazing afternoon spent on a yacht with a friend we made through couchsurfing.com were some of the fun things Odessa held in store for us. Sadly, it’s our last night here before we hitchhike tomorrow to Chisinau, Moldova. Our little beach getaway in Odessa has been so much fun but it’s time to get back to work contacting NGOs and collecting recipes. Let’s just hope my shoulder sunburn settles down before I have to drag my backpack around again tomorrow morning…. Spicyroad’s Week in Review! Spicyroad’s Week in Review #16! Spicyroad’s Week in Review #6! Spicyroad’s Week in Review #10! ← Spicyroad’s Week in Review!